Awards Season went into full swing yesterday when the nominations for the 91st Academy Awards were announced. One of the most exciting things about this year is the love for Black Panther, which earned a total of seven nominations. 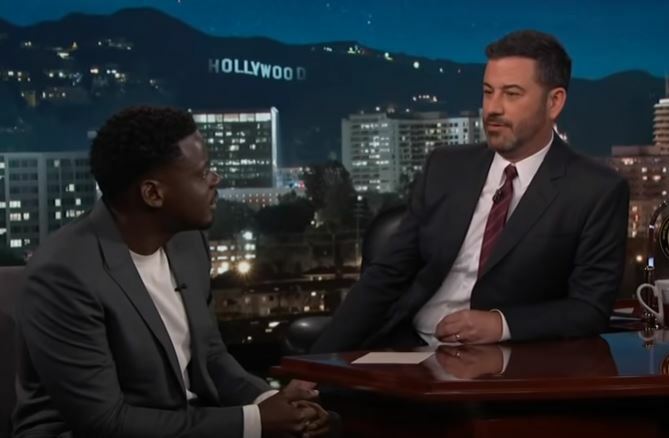 Fans and Marvel stars alike have been celebrating the news, including Black Panther himself, Chadwick Boseman. 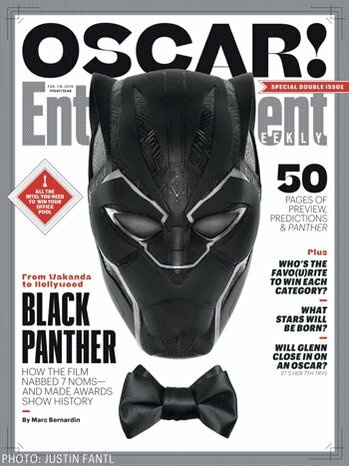 The actor also included the recent Entertainment Weekly video promoting their upcoming Oscars 2019 issue, which features Black Panther as the cover. Considering the widespread love for the Marvel Studios film and the fact that it was the highest grossing movie in the United States last year, it’s no surprise EW has deemed it cover-worthy. Their article praises the film, and credits the “remarkable social momentum” for its success. “Black Panther isn’t a traditional Black Oscar movie. Because it isn’t about the thing that almost every black film that’s been nominated for Oscars is: pain,” EW writes. They go on to list some films that have gotten serious Oscar recognition, for example, Best Picture winners 12 Years a Slave and Moonlight. While those are remarkable movies, EW explains that there’s something special about Black Panther and its success. “It doesn’t feel that way because it’s not about pain; It’s about excellence,” they write. Excellence that was indeed not overlooked by the Academy this year. In Boseman’s tweet he mentions making history. Just eight nominations for #BestPicture, and one of them is Bohemian Rhapsody. Well how about that? 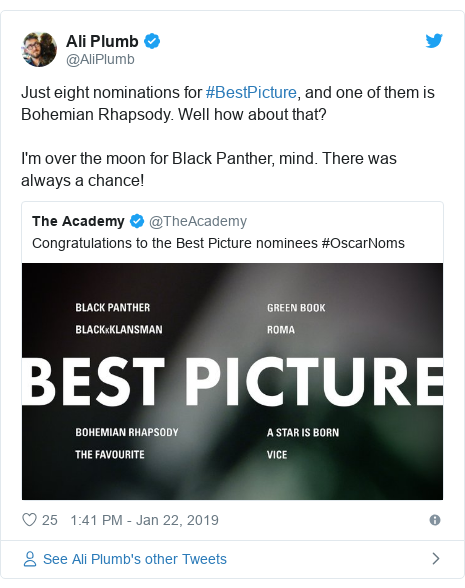 That’s because Black Panther is the first comic book film ever to be nominated for Best Picture. Back in 2009, The Dark Knight received eight nominations, and even took home the prize for Best Supporting Actor (which went to Heath Ledger, posthumously) and Best Sound Editing (Richard King). However, despite the film’s success and recognition, it did not receive that coveted Best Picture nomination. In addition to its Best Picture nod, Black Panther is also up for Best Original Music Score (Ludwig Göransson), Best Costume Design (Ruth E. Carter), Best Sound Mixing (Steve Boeddeker, Brandon Proctor, Peter J. Devlin), Best Sound Editing (Benjamin A. Burtt, Steve Boeddeker), Best Original Song (Sounwave, Kendrick Lamar, Anthony Tiffith, SZA), and Best Production Design (Hannah Beachler, Jay Hart).